Source of the Sound is a collaborative effort featuring the work of Josh Rieck & Alix Kyrie. 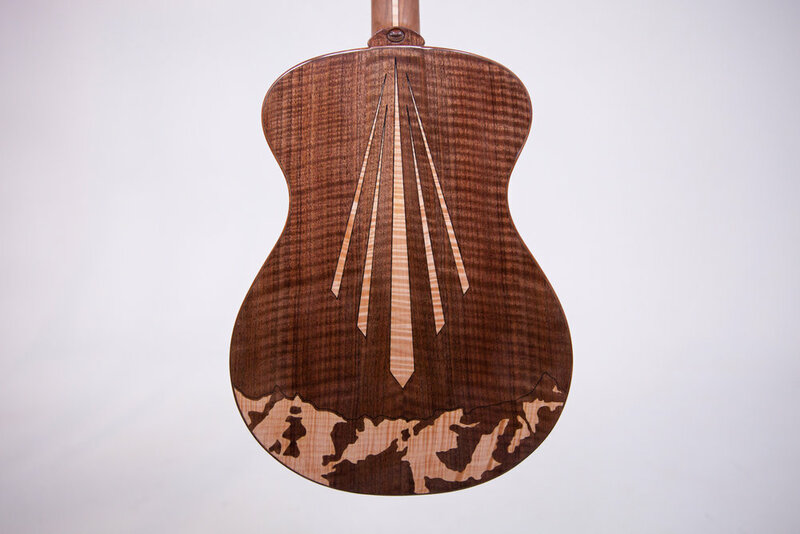 Inspired by land of which we reside, Rieck crafted a guitar utilizing materials sourced in South Dakota, while interweaving topographical elements of our fine state. Wishing to further explore the source of sound, Rieck & Kyrie ventured west to document the origin of Rieck’s materials. 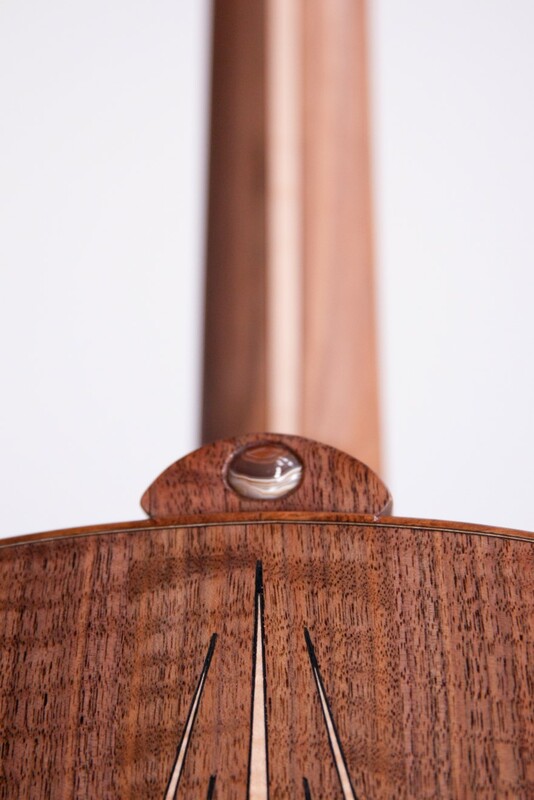 Kyrie’s photography coupled with Rieck’s guitar provide a deeper understanding of the environmental elements that are richly rooted in lutherie. On July 6th, Rieck & Kyrie celebrate the culmination of their efforts with a gallery opening in the Shultz Gallery at the Washington Pavilion in Sioux Falls, SD. The event begins at 5 PM, with a gallery talk at 6PM. The event runs until 8 PM, with light refreshments and high-fives being served. This guitar was supported by a grant through the SD Arts Council which allowed me to take the time to research and seek out appropriate materials available within my home state of South Dakota. 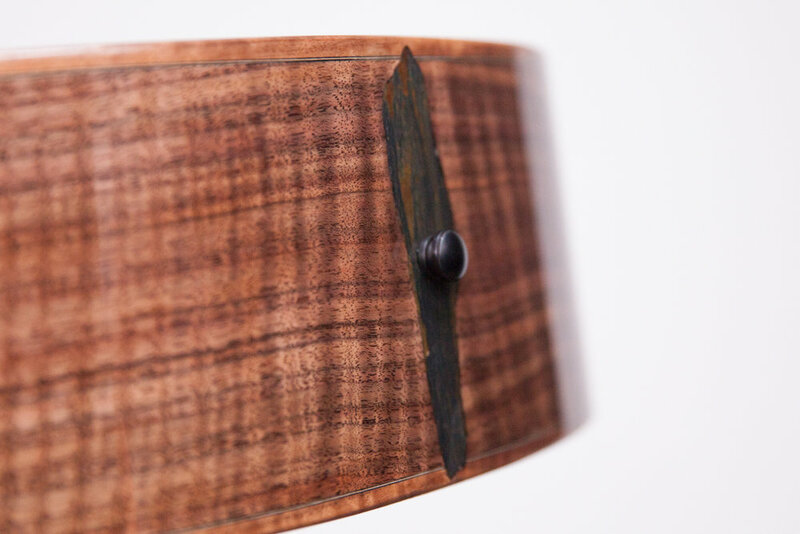 This instrument includes a top made from beetle-killed Black Hills pine, back and sides of black walnut, and a bridge and fingerboad of honey locust. The decorative elements include a rosette and inlays made from reclaimed teak from the Battleship USS South Dakota and petrified wood from Mystic, SD. The rosette also features a piece of rose quartz, which is the SD state mineral. The inlaid scene of sunshine on the badlands in curly maple - and the image was taken by Alix Kyrie for The Source of the Sound exhibit - and a badlands prairie agate tops it off on the heel cap. 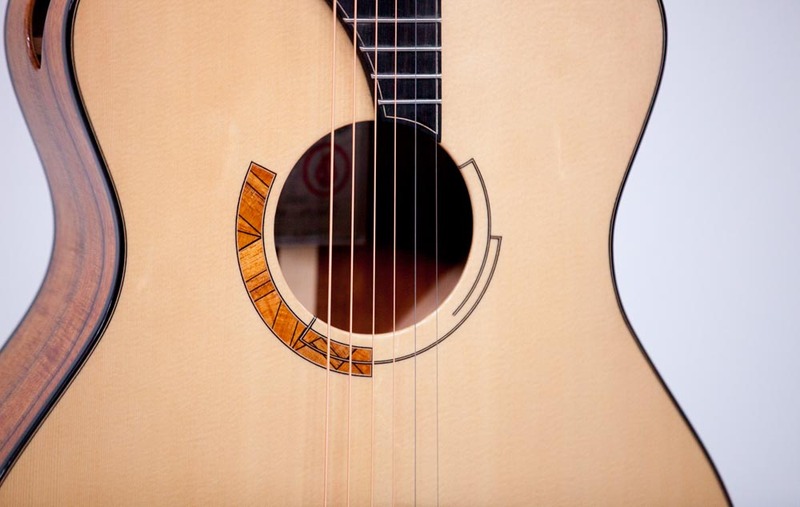 The honey bee and pasque flower inlaid at the 12th fret are the, respectively, the state insect and flower. 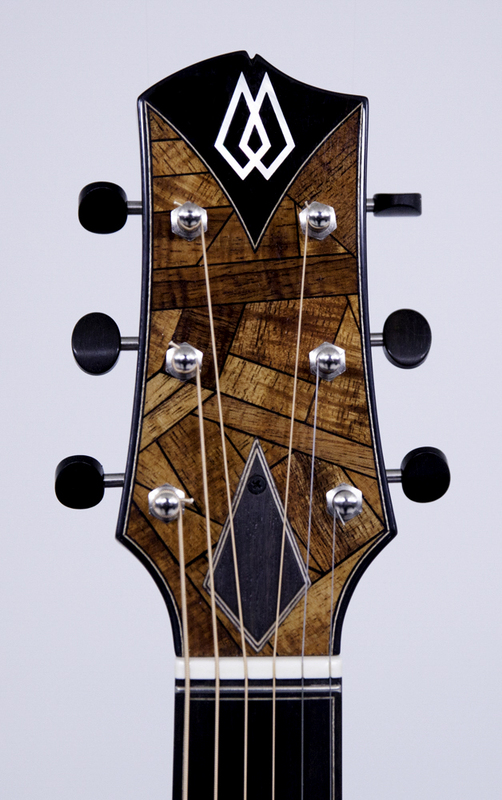 The fret markers are radially cut deer antler, the black elements in the rosette and the truss rod cover are charred pine and the endgraft is petrified wood. Instrument photos by Jeff Zueger. The photos for The Source of the Sound were taken by Alix Kyrie on a road trip through South Dakota to document the landscapes and subjects that served as inspiration for this project. 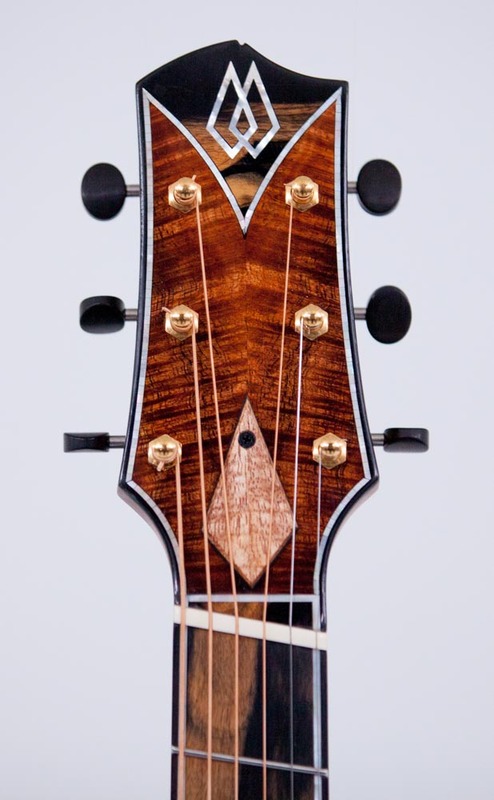 RT-OOOO - Bearclaw Carpathian spruce and koa. This guitar features a Manzer wedge body, multi-scale fingerboard and a cantilevered neck. 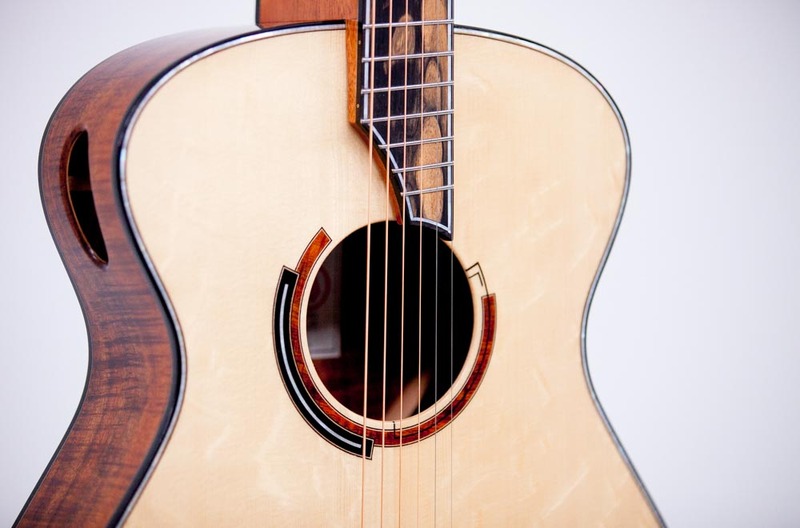 All of these features make for a wonderfully ergonomic guitar that is a joy to play. 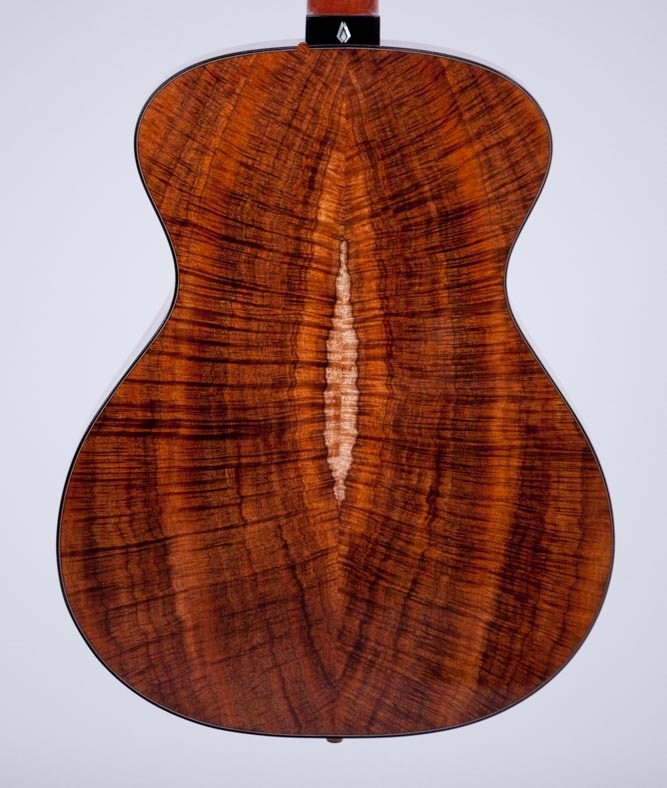 RT-OOO - Carpathian spruce and koa. 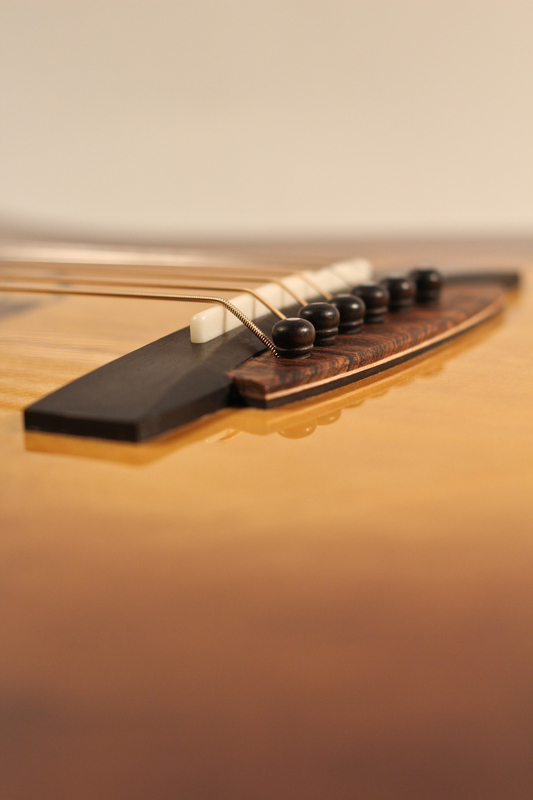 RM-OOOO - Engelmann spruce with ovangkol back and sides, zero fret, custom inlay and side sound port. This instrument was designed by me for a customer who wanted a unique guitar. The name Lance is in reference to the old German meaning of the name Rieck. The Lance is a small bodied jumbo with the body depth of an OOO, making an extremely versatile, tonally balanced and comfortable guitar. 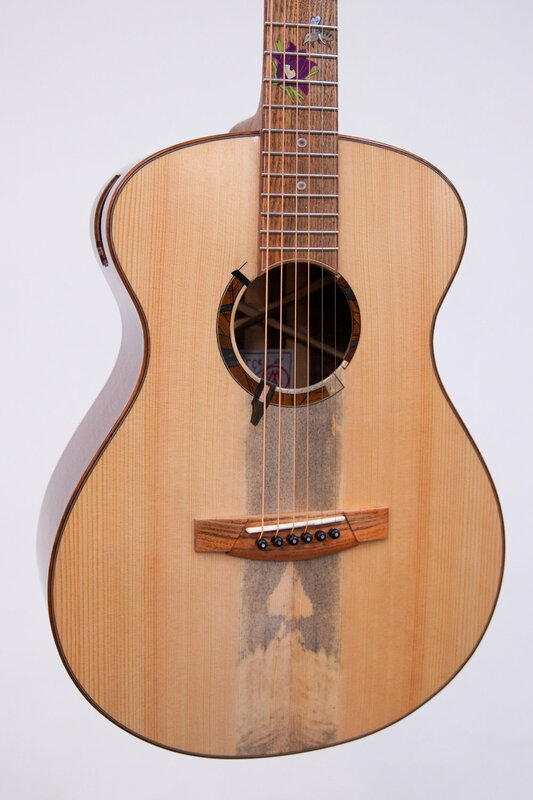 This particular guitar features custom options including a hand-rubbed sunburst, unique multi-laminate bridge, side soundport, and custom back strip and end graft. 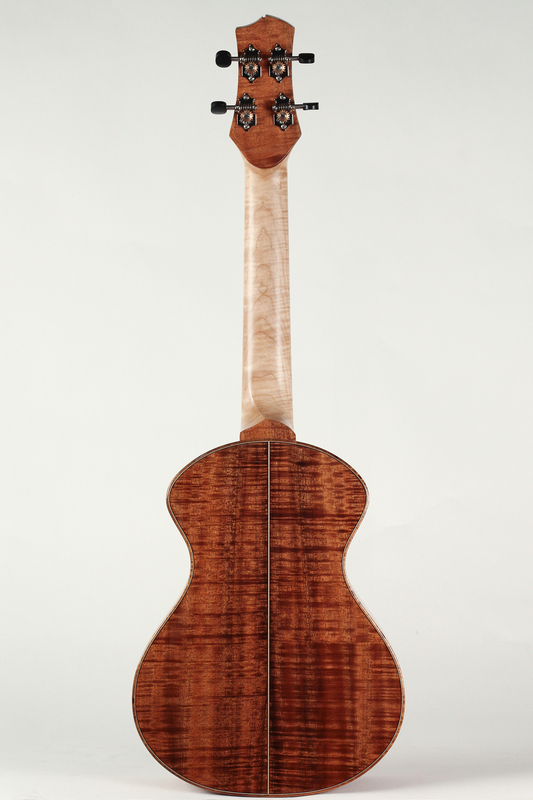 This is the first of my newly designed 14-fret O sized guitars. The outline has been modified with a higher waist, elliptical upper bout and rounded lower bout. The body measures 13.5" across the lower bout and 4.25" at the tailblock. 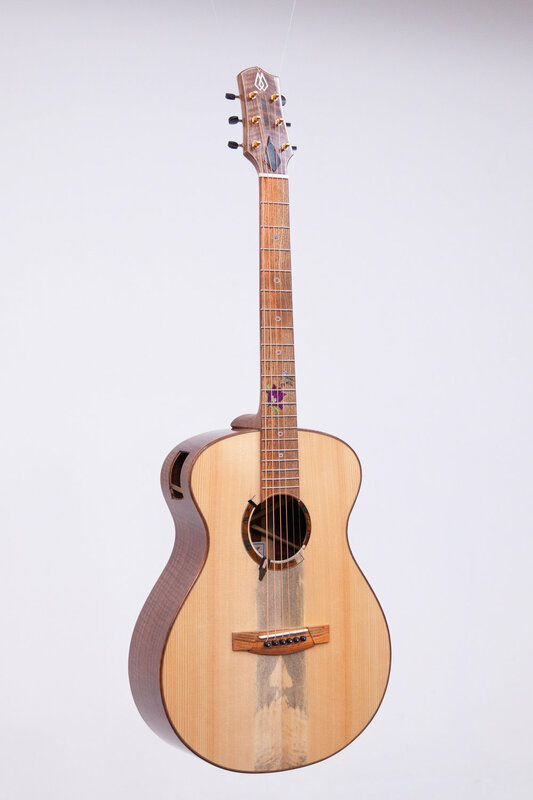 This particular model is made with a side soundport; sitka spruce top; locally harvested black walnut back and sides; a maple center section in the 3-piece back; maple bindings; ebony fingerboard and bridge and MOP inlay.